When you’re a mom, chances are, a vast majority of the traditions during the holidays fall on your shoulders. The reality is, women create, cultivate and are responsible for a significant proportion of the holiday season. From purchasing gifts, creating menus, shopping, wrapping, coordinating social events and orchestrating the usual daily tasks and work, the holidays can be a very stressful time. Additional unexpected stress, such as getting sick, kids missing school because of illness, repairing a broken appliance or last-minute work project and volunteer request, can all tip the scales with stress this time of year. So what can you do to take care of yourself and manage stress this holiday season? First, assess your current stress level. Ask yourself this: On a scale of 1 through 10, ten being the most amount of stress and one being the least amount of stress, where is my stress level right now? I would recommend if your stress level is creeping up to a 4 or anything above, it’s time to put some of these suggestions on how to manage holiday stress into place ASAP. 1. Make a List. 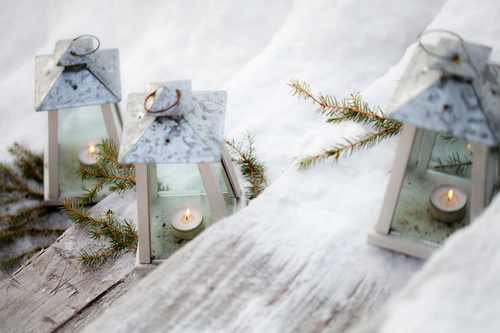 Jot down a list all of activities that would make the holiday season memorable. I know this sounds like more work, making another list, but taking a few minutes to write down a few goals of how to make the holiday meaningful brings to your attention to what is important to you. And, the more you practice writing your intentions down, the more likely you are to make them happen. For me, during the holiday season, I love to bake cookies with my girls, have a family movie night watching It’s a Wonderful Life and Elf, make appetizers for dinner, in our community give to those in need, and driving around neighborhoods with hot cocoa, listening to Christmas music and looking at Christmas light to name a few. 2. Delegate What You Can. I don’t know how it is in your home, but sometimes in mine, it’s easier to do things myself than to delegate to my kids or husband, so that it can get done the ‘right’ way. I have learned to let go of having things done a ‘right’ way, and focus on just getting it done. During times of stress, delegate activities and tasks to other family members so you can free up time to enjoy and relax this holiday. 3. Make Sure to Get Sleep. This recommendation is often overlooked and underestimated when it comes to stress management. Sleep deprivation makes it tough to use good coping skills, and it also creates a cycle of irritability and exhaustion for many. Be sure to get as much sleep as you need to function well and feel rested. 4. Schedule Time for Rest. And really do it! You may think you’re too busy to rest, but even fifteen minutes of rest can help boost and restore your energy. Put your feet up, have a cup of tea, read a book or sit outside. Taking the time to pause, rest and breathe, seems simple, yet it’s so important, especially during this time of year. 5. Keep Your Expectations Reasonable. During the holidays we can fall into the trap of thinking everything should be ‘perfect.’ Nothing can be perfect, and thinking this way, is a set up for disappointment and frustration. Try to keep your expectations in check. The things that go wrong often create family memories for better, or worse, becoming family narratives. Years ago, my family and I were getting ready to go to a Christmas party. One of my girls, who was three at the time, wearing the sweetest red corduroy dress. I can’t remember why, but minutes before we left, she was in time-out for not listening. All of a sudden, we heard a scream, and she raced toward us and said a button was stuck in her nose. And it was stuck pretty high up there, requiring an emergency room visit and mild sedation to get it out. After retrieving the button, the emergency room physician asked if we’d like to keep the button as a Christmas memento, we passed on that one. 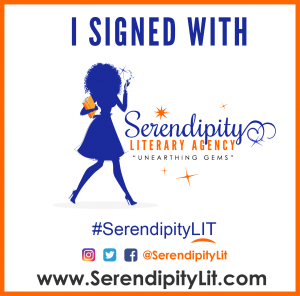 We never made it to the party, and while it was stressful at the time, we laugh about it now and have one funny story to add to the holiday stories. I’m not going to be able to enjoy the holidays; there’s just too much to do. I ask for help, but no one ever follows through. I have to do it all, or it doesn’t get done. All I want is an enjoyable holiday, but I’m sure it won’t happen. Instead of believing these negative thoughts, ask yourself: Is this an accurate statement? Where is the evidence this is going to be the outcome? And my favorite: If a friend were telling this to me or asking for advice, what would I say to them? I am not responsible for everyone’s happiness. I can’t be responsible for how other people behave, but I am responsible for how I respond. I chose love and peace this holiday season. 8. Go for a Walk. Exercise is a great way to manage stress. Fresh air, a change of scenery and moving, can all help reduce stress. And, an added bonus of walking, it boosts creativity, which helps in problem-solving. Ask any mom who has used the contents of her purse to occupy her child, creative problem-solving. 9. Let Go of Traditions for a Season. Hear me out on this one, sometimes traditions need to be put on hold for a year because of stress. This time of year, I see a lot of stress from the pressure to keep traditions going even when they are not enjoyable anymore. Try to be flexible and if your stress levels are rising, take a deep breath and consider letting go of a tradition. Putting a tradition on pause one year doesn’t mean you have to omit it forever. I took this advice I have been giving to clients for years, last year myself. Last year my family and I were going through a very stressful time. I was feeling enormous internal pressure to send holiday cards but had no energy or desire to do so. I even had a picture all ready to go! After feeling angst and lots of guilt debating if I could skip the card, a tradition I had done for almost twenty years, I finally gave myself a pass and put the holiday card on hold. At dinner one night, I shared my thoughts, and one of my daughters agreed, although her reason to stop the card wasn’t because of stress, she thought holiday cards weren’t good for the environment. So my family and I decided not to send holiday cards. Instead, we used the holiday card budget and donated to a charity near and dear to our hearts. And guess what? My stress level went down, the world didn’t end, and the time I would have been writing cards and envelopes was instead spent with my family. I hope these suggestions help you keep perspective and reduce your stress this holiday season. The best advice I can give about the holiday is to manage expectations and focus on what is really important, spending enjoyable time with family and friends. Wishing you an awesome start to the holiday season and reminding you to be sure to take care of you! 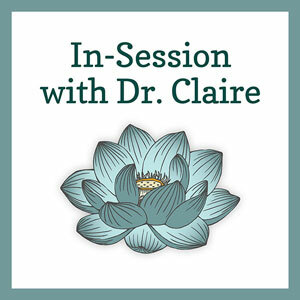 If you’d like to hear more ways to cope with stress during the holiday season, be sure to check out this podcasts on In-Session with Dr. Claire.